Looking for a cheap deal on van insurance? Start comparing quotes now with Bobatoo. We Help. You Save. Bob knows that getting the right van insurance deal isn’t just about the cost. Whether you use your van for business or personal reasons, it is important to make sure you are only paying for the cover you need. Your business depends on your van being on the road every day – so taking the time to find a policy that is not only affordable but also provides the right level of cover for your business is vital. 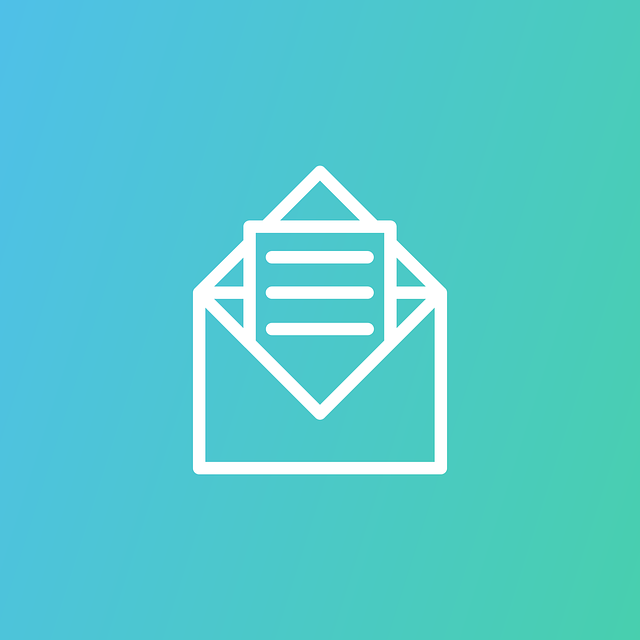 Here at Bobatoo.co.uk we work with leading insurance brands to help find the right van insurance quote for your needs and the particular requirements of your business. Save money on your next van insurance policy by only comparing policies suited to your needs. 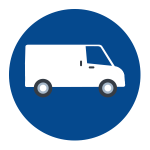 If you use your van to transport dangerous, hazardous or highly valuable goods then it might be worth considering a goods in transit policy. This will offer cover for goods that may not be normally protected by standard van insurance policies. A courier insurance policy offers protection if you use your van to transport other people’s goods. Most policies provide cover for frequent and long distance travelling as well as high value goods. If your business owns more than one van then insuring them all under the same fleet policy can often work out cheaper than arranging separate policies for each. Useful for businesses as well as those who only need to use a van for a short period of time, temporary van insurance (anything from one day to a few months) is ideal if you are borrowing a van. Dedicated business van insurance policies from more specialist van insurance companies can come with a lot more added benefits than those on offer from the standard insurers. If you use your van for hire and reward – i.e. you receive payment for transporting goods or people, then you may require a specialist hire and reward insurance policy. An often overlooked part of hiring a van is that you are expected to pay the excess if you have to make a claim. Many van hire companies include a very expensive excess in the insurance policy you sign up to when you hire a van, but you can get your own much cheaper excess cover instead. For businesses that have a lot of vans and drivers, an any driver van insurance policy can make things a lot easier than insuring individual drivers on separate policies. Whether this option works out cheaper or not depends on your drivers’ age and driving histories. If your business has more than one van on the road, then it could work out cheaper for you to get van insurance that covers all the vans under one policy – rather than paying out for a single policy for each individual van. A modified van is likely to cost more to insure than a standard van because most insurance companies see any modification that isn’t security related (e.g. an alarm or immobiliser) as an increased risk. Many insurers have different definitions of what makes a van a classic, so it is important to get quotes from as many different insurance companies as possible and compare what cover they are prepared to offer you. Just like with car insurance, young drivers tend to attract the most expensive premiums when it comes to van insurance. Therefore it can sometimes work out cheaper if you look for policies from more specialist young driver van insurance companies. If your tools were lost, damaged or stolen from your van it could have a massive impact on your business. Tools insurance can help minimise this impact and allow you to carry on working without having to worry. How long is a piece of string? Exactly. Van insurance costs vary greatly, depending on a number of factors and influences. As many van drivers might concur, size is important for starters. Only not in the way you might first imagine. 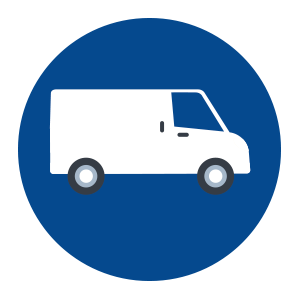 The smaller the van you’re looking to insure, the better the chances of minimising the costs, as van insurers always like to take into account smaller engines (the less powerful, the less attractive to potential thieves). The same can be said about your no claims protection, in as much as the longer you’ve had it the greater the chance that your van insurance quote – and subsequent premium if up-taken – will put a smile on your face. That’s given that the insurer agrees to transfer your existing NCB’s built up from your driving history to date, per se. if your van insurer can, then expect reductions on average of 65% over premiums without, and if they can’t arrange this then we’d suggest you took your business elsewhere. And don’t overlook the van’s value. Remain realistic, as the more over-inflated the price – the higher the premium paid, and on top of that – and providing a real double whammy – insurer’s will only stump up for the van’s current market retail value in the event of a claim, not what you originally paid for it (unwittingly thinking that it’s still worth). Adding extra levels of security is always advantageous when exploring ways to reduce your van insurance premiums (explained in more detail below), however it’s not necessarily the be-all-and-end-all it’s perceived to be. As an initial investment, after-market immobilisers, alarms and trackers can be pretty pricey, and perhaps it’s worth bearing in mind that theft only actually accounts for a small percentage of van insurance company claims and consequent pay outs, with more paid out per head on personal injuries caused by accidents. Van insurance needn’t break the bank, nor do you need to pull off the heist of the century to be able to afford proper cover and with it, peace of mind. Not if you follow our general insurance advice and shop around. With a plethora of online price comparison sites there really is no need to settle for the first quote you get, when it only takes a few minutes to discover a selection of the very best van insurance policy prices out there. Above and beyond that, we would tell anyone seeking van insurance – be it for business or private use – to minimise the cost of your premiums by looking to spend less on the van in the first place, where possible. Ostensibly smaller vans – possessing smaller, more economic engines – are cheaper to purchase and thus attract more competitive premiums. By comparison, a high powered van harnessing a larger engine will always end up being more expensive to insure, as it effectively poses a greater risk. If you approach van purchase realistically, and seek the size, weight and performance measurable with your business and/or private needs, generally these considerations will be reflected in cheaper van insurance costs. Elsewhere, and we’d advise people to steer well clear of imported vans, as they always tend to come with higher insurance premiums, chiefly based on the cost of sourcing replacement parts. UK-spec vans – and unmodified ones at that – should be considered first and foremost. Much like any form of motor insurance, where your van is parked up at night also has a strong bearing on the premiums offered, with the driver’s garage or driveway habitually preferential to being left on the roadside. Getting your company logo printed on the side of your van can also pay surprising dividends in terms of van insurance premiums, as insurers see such vinyl-applied actions as you dedicating yourself to your business for the long haul. This could see a further 5% trimmed off your annual premium, believe it or not. Again, fitting shelves or racking systems in the back of your van will help cut predicted insurance costs, which implies that you’re serious about making your business a go in the eyes of an insurer, while the more fitted the van is the less appeal there is to van thieves targeting such vehicles. Aside from that, and van security should be high up your agenda, not least to make those insurance premiums all the more affordable as well as to safeguard your asset. There are a raft of alarms, immobilisers and tracking devices on the market, any one of which when fitted will have a significantly beneficial effect on your van insurance costs, with trackers in particular being a strongly recommended deterrent to would-be thieves and therein looked favourably on by the country’s leading van insurance providers.